Siem Reap is the cradle of Angkorean civilization and it is a province that offers plenty of opportunity to tourist enthralled by the cultural patrimony. Siem Reap Angkor is the most attractive landmark in Cambodia in terms of cultural tourist in the Southeast Asia. The Siem Reap Province is conveniently situated 314km northwest of Phnom Penh, along National Road No 6. It can be reached all year round by National Road No 6 from Phnom Penh Capital, Poipet Border Checkpoint, Banteay Meanchey Province, Kampong Cham Province and Kampong Thom Province; and by National Road No 5 and 6 from Kampong Chhnang Province, Pursat Province and Battambang Province. The Siem Reap Province can also be reached by speedboats along the Tonle Sap River and its Lake form Phnom Penh Capital and Battambang Province. A variety of accommodations are available in Siem Reap. 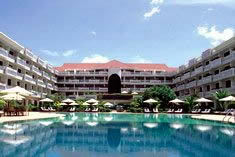 We recommend 5 stars hotels including the Raffles Grand Hotel d'Angkor, Sofitel Royal Angkor, Le Merideien, De La Paix. 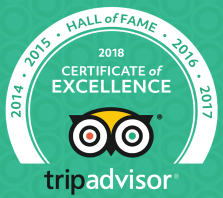 There are also good 4 stars hotel including Victoria Angkor, La Resident(Pansea), Angkor Palace Resort, and many mid range hotels including Borei Angkor, Steung Siem Reap, Day Inn etc. One of the best way of seeing the monuments is to hire a private car or Tuk Tuk. A car and driver can be hired for US$23-25 per day. A Tuk Tuk is $10-13. As Banteay Srei is no longer considered a security risk area and is now open to visitors. Beng Mealea and Koh Ker are the best temples for those who wants to get rid of the crowded tourists. They are peaceful and charming temple. 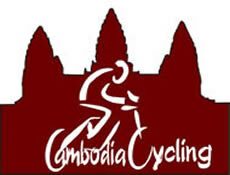 Another best way to explore Angkor complex is by bikes where you cycle along the tree lines shade road around the small circuit (25km) to visit all the highlight temples including the jungle temple of Ta Phrom, Angkor Thom, Bayon and Angkor Wat. A pass to visit the temples is required and can be purchased only at the new drive-in ticket counter and check point located on the main road to the monuments just before you enter the forested area. Passes are available for a single day, for three days or for one week. The passes are valid for all the sites within the Angkor area, including Roluos and Banteay Srei, Kbal Spean, but they are not valid for the Kulen Hills, Beng Mealea and Koh Ker . The prices are: one day US$20; three days US$40; and four days to one week US$60. All passes are required to have a passport photograph of the purchaser. As of December 2000 passport pictures are free at the ticket counter. Visitors should carry their passes at all times as they are checked at the entrance of all the major temples. Anyone found without a pass is liable to a fine of US$30. A visit to the Kulen Hills requires a separate US$20 entrance fee collected by a private company. Ticket to Beng Mealea is US$5 per person and to Koh Ker is $US10 per person.